First of all, I wish to acknowledge the JSPS A3 Foresight Program providing the great opportunity for me to participate “The Second A3 Roundtable Meeting on Asia Chemical Probe Research Hub”, which was held at Hangzhou (China) from Nov. 23 to Nov. 26, 2017. In this meeting, there were over 70 presentations given by participants from China, Korea and Japan. Due to participation in this meeting, I was able to have a new experience. That was oral presentation in a “Foreign Country”. 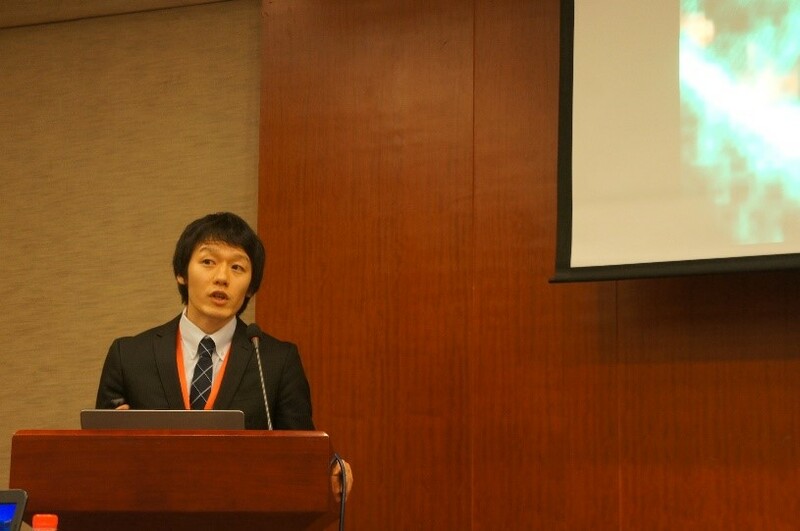 I gave a talk as a student speaker in Young Scientist Session. Although it was a short 8-minutes presentation, I was able to get some questions and valuable comments for my project not only in question time but also during the break. Through such discussion, I was able to realize international exchange of science. During the term, we shared the dishes with other participants regardless of the position and the nationality. In the meal time, I learned importance of friendship with foreigners. Since sometimes the considerations of foreign students are true different from me, talking with them were exciting. Such differences should be a good stimulus for me, because they gave me a new insight. On the other hand, close distance with principal investigators allowed me to get several advices. For example, how to spend a time to get a good result, an attitude before presentation and what they hope to their students. Such suggestions should become my properties. My only regret is that I was not able to make enough time for sightseeing in Hangzhou, even though the West Lake, one of the world heritage sites in China, is there. Someday, I would like to visit back again to walk around the lake until I’m satisfied without a stressful oral presentation. At last, I would like to thank again all organizers.